You can now invest in Estonia-issued loans from Creditstar! Creditstar has increased the investment opportunities it offers on Mintos! Now, you can invest in personal loans issued by its Estonia-based subsidiary Monefit and earn net annual returns of up to 12%. This is in addition to Creditstar’s loans that are already available for investment issued in Poland, Spain, Czech Republic and Finland. Established in 2013, Monefit offers its borrowers flexible revolving lines of credit, where the borrower chooses how much they need to borrow at any point in time and can manage the details through a mobile app. 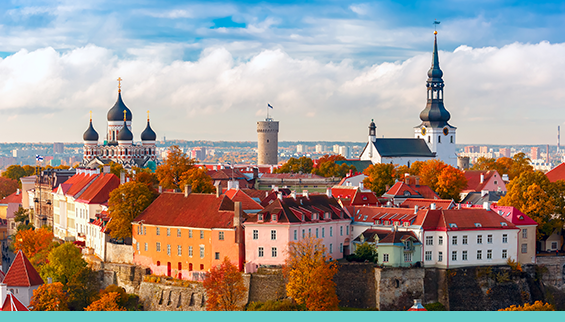 Estonia-issued loans from Monefit on the marketplace will range from EUR 50 to EUR 3000 with a maturity up to 60 months. You can expect a net annual return of up to 12%. All loans placed on Mintos by Monefit have a buyback guarantee and will be repurchased if the loan is delinquent for 60 days or more. The company will also keep 5% of each loan it places on the marketplace on its balance sheet to maintain its skin in the game. Monefit will have a group guarantee, meaning the obligations of Monefit will be guaranteed by Creditstar Group. Creditstar Group was established in 2006 and provides consumer financial services in Europe. Creditstar is headquartered in Estonia, where the company is one of the largest providers of online credit. The company has gained the trust of more than half a million registered users in eight countries across Europe. Creditstar Group has a strong equity position, with more than EUR 18 million in equity and EUR 85 million in assets. The company has also delivered consistent profitability every year since its inception in 2006. The aggregate net loan portfolio of Creditstar Group was EUR 78 million as of September 2018. Creditstar Group puts a strong emphasis on responsible lending policies and high-quality customer service. The typical Creditstar customer is an active, young male, 26-35 years old, living in a small town. The company has a strict credit policy with only approximately 30% of applications accepted. Debt collection companies are involved in the recovery of non-performing loans. Don’t miss out on this opportunity to invest in personal loans from Monefit. If Auto Invest is your preferred method of investing, be sure to update your Auto Invest accordingly.